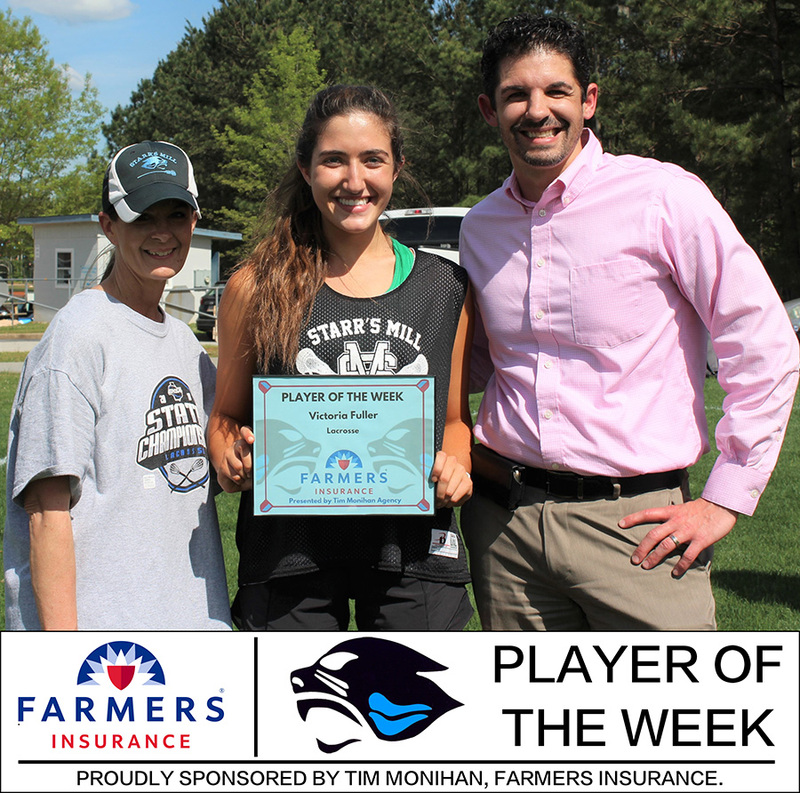 Tim Monihan and Farmers Insurance have crowned junior lacrosse player Victoria Fuller with the seventh Player of the Week award for spring sports. While still relatively new to the sport, Fuller, who also plays softball and basketball, has made an impact as a defender on a Lady Panther lacrosse team that is 9-3 overall and boasts an unblemished 6-0 region record. Over Spring Break, the Lady Panthers traveled to South Carolina to take on Bishop England and Wando, the No. 1- and No. 4-ranked teams in the state, respectively. Starr’s Mill split the two games, losing to Bishop England 10-9 in overtime, and beating Wando 14-6. These two games were good preparation for the team come state playoff time. The team plays next at 5:55 p.m. on April 16 in Panther Stadium against the Lambert High School Longhorns.